The device is currently slated to be powered by Qualcomm's QCS603 chip, which includes an artificial intelligence programming interface that supports Android Neural Networks, Tensor Flow, and other machine learning frameworks. Late last year, Quanta was also the subject of rumors that it was working on Apple's headset, based on the manufacturer's licensing deal with Lumus to use its optical engines in AR headsets. At the time, Lumus estimated that headsets from the deal would arrive on the market within 12 to 18 months. 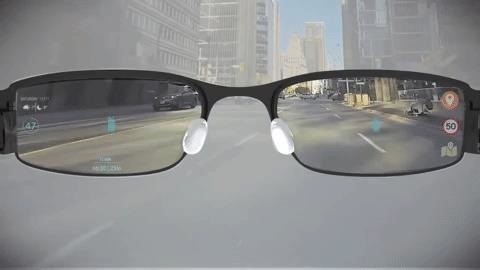 If Google's headset is based on the same reference design, the headset could arrive in time for Google I/O 2019, the site of Google's grand Glass skydiving stunt. Then again, Google could have its own design as well, considering it has its own hardware talent with Nest and HTC's design team. Google also has a cozy relationship with Qualcomm, whose processors power many Android devices. The chip's machine learning capabilities align with Google's focus on AI in seemingly every product. In the article, Google A65 is characterized as more in line with HoloLens or a wireless version of the Meta 2 than Glass. Speaking of Meta, the report also mentions that Quanta is also working on a project for the AR headset maker. Given the depth and breadth of Google's experience with AR, from Glass to Tango to ARCore, perhaps Google will apply some lessons learned from previous projects to its latest venture into AR hardware.